Assertions that Dylan lifts material from other sources aren’t new, and he has previously dismissed those who criticize him for failing to make the references clear by saying, “Wussies and pussies complain about that stuff.” Invective aside, he’s on firm ground: Artists have always borrowed from work that came before. But contemporary tools like Google Books have made it easier to uncover connections, and a new book by Pulitzer Prize-winning journalist David Kinney, titled The Dylanologists: Adventures in the Land of Bob, explores the web of alleged borrowings and falsehoods uncovered by online gumshoes. One of those Internet sleuths, New Mexico DJ Scott Warmuth, calls the trail of references Dylan’s own Da Vinci Code. Kinney, a former report for the Star Ledger in New Jersey, is receptive to Warmuth’s findings and sees them as a jumping-off point for a bigger discussion about not only inspiration and appropriation, but also — if Dylan really is copying and pasting from classic texts — what the famously enigmatic artist might be trying to say. Echoes of other voices in Dylan’s work can be found far beyond Chronicles. His tellingly titled 2001 album Love and Theft has similarities to lines from F. Scott Fitzgerald’s The Great Gatsby and Junichi Saga’s novel Confessions of a Yakuza. On 2006’s Modern Times, he evoked Civil War poet Henry Timrod. Even civil rights anthem “Blowin’ in the Wind” was a reworking of slave-era spiritual “No More Auction Block” (as first noted by Pete Seeger, the folk music champion who died earlier this year, whose own work shows how borrowing can be a key part of creativity). Warmuth told The Daily Beast that, for instance, he immediately noticed how a Chronicles anecdote about Dylan watching soul icon Joe Tex on TV with Johnny Carson in the late ’80s couldn’t be true, because Tex died in 1982. When Simon & Shuster released Chronicles, the publisher described it as “an intimate and intensely personal recollection of extraordinary times.” Reps for the publishers (who are also releasing Kinney’s The Dylanologists) and for Dylan declined to comment to The Daily Beast. Dylan has blasted plagiarism-accusers in no uncertain terms. “All those motherfuckers can rot in hell,” he told Rolling Stone in 2012, as part of the same conversation that sparked a recently dismissed French “hate speech” case. “It’s an old thing,” he said of borrowing. “It’s part of the tradition. It goes way back.” Harvard classics professor Richard Thomas said he agrees, pointing out that T.S. Eliot sampled everybody, Virgil faced accusations of ripping off Homer, and on and on throughout the history of verbal culture. 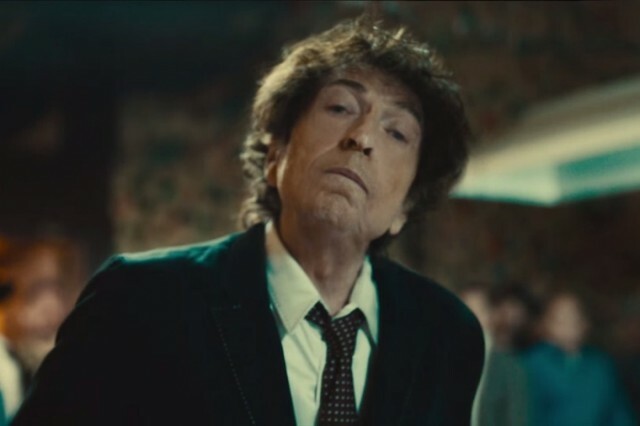 For Dylan, the discussion of borrowing could at once elevate him even further into that canon of historically significant authors while also helping undercut the the ’60s “protest singer” label he has spent an entire career shrugging off, most recently with a bizarre Super Bowl ad for Chrysler. For pop culture at large, the debate might end up highlighting the absurdity of our copyright system. And then there’s Seeger, a true protest singer, who was there for Dylan’s mythical “going electric” at the 1965 Newport Folk Festival and who died in January at age 94. The indomitable social activist once said of “We Shall Overcome,” his own most influential song, “Nobody knows exactly who wrote the original.” As Robert Zimmerman might ask, how does it feel?